How much will it cost me to get a copy of my birth certificate? The cost of a birth certificate has recently increased to €20. However, if you need it for social welfare purposes, for example, to claim a payment, the cost is only €1. Notification of intention to marry or to enter into a civil partnership now costs €200. You can get copies of Irish birth, marriage and death certificates from any Registrar and from the General Register Office. As these are public records anybody can apply. You can also apply online for copies of certificates, including domestic adoptions and stillbirths that have been registered. Citizens Information Service St Mary’s Square, Athlone provides a free and confidential service to the public. Information is also available online at www.citizensinformation.ie and from the Citizens Information Phone Service on 0761 07 4000. 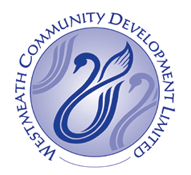 Westmeath Community Development is now recruiting Community Health Workers to work in the Primary Health Care Programme (PHCP) to support the active participation of Travellers in all areas of health development. The priority geographical areas of work are Mullingar and Athlone and other designated rural areas as identified. To work with the Co-ordinator and other staff members of the Traveller Project team to encourage Travellers to engage with LCDP activities such as education, training, capacity building and employment supports. To represent the issue of Traveller health on a range of fora as relevant.